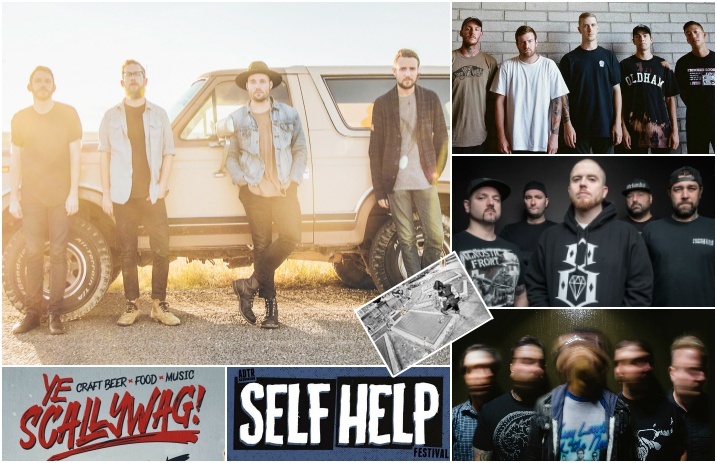 Emarosa reveal a headlining tour, Counterparts release a new live video with footage from Warped Tour, and Hatebreed plan to celebrate their first two albums! Check out some of the news you might have missed today below. Emarosa venture out on a headlining tour of the U.S. this fall, and it's said to be the concluding run behind their 2016 fourth album, 131 (Hopeless Records). Special guests A Lot Like Birds and Jule Vera will join the band on the trek. “This is the final tour supporting 131,” says Emarosa singer Bradley Walden. “We're going to be performing songs we've never done before and taking our live show to places it's never been. If there's a must see performance this fall, this is it.” Get your tickets for the upcoming Emarosa shows here. Counterparts drop a live performance video for their new track “Thieves” featuring footage from their summer run on the 2017 Vans Warped Tour. The fresh track is from the band's upcoming album, You're Not You Anymore, which is due out on September 22 from Pure Noise Records—pre-order it here. Zao issue a second pressing of their limited “Xenophobe” 7-inch single bundle (backed with non-album track “Fear Itself“) with new artwork by designer Matt Kerley. Get your hands on one here (for cheap!) before they're gone for good. 91X Presents Ye Scallywag! returns to San Diego's Waterfront Park on October 21! The craft beer, food, and music festival will feature sets from Pennywise, Me First And The Gimme Gimmes, the Vandals, Lagwagon, Strung Out, and more! You don't wanna miss this punk-rock-meets-beer-and-food-fest. Get info on exclusive Ye Scallywag! pre-sale tickets from 91X here; regularly priced tickets go on sale here this Friday, August 18, at 10 a.m. PDT. A Day To Remember's Self Help Festival just got even more insane! The multi-date festival's initial lineups were unveiled last month but now a ton more bands have been added! Check out the lineups and get ticketing info here. Thin Lips hit the road this fall for a U.S. tour with Worriers, including a stop at Gainesville, Florida's famous The Fest. Check out the cities and dates below. Alt-rock-meets-trap practitioners Leave The Universe unleash their politically-fueled video for “N.W.O.”—watch it above. (WARNING: Video contains fast, flashing images.) The band's debut EP is out next month; more info here. Acadia premiered their new vid for the song “Dryspell” today at the Huffington Post. Get more information on the group's six-song EP All Heart here or here. Watch more: APTV at the 2017 X GAMES!